Here are the reviews featured on Irene's Getting Fat! The list will grow as I venture more, of course. I make this list to make your time visiting this blog more enjoyable and easier. You can also refer to the tags cloud on the side bar, which have more complete categories of the posts, but here's a rundown of the reviews I have posted so far. 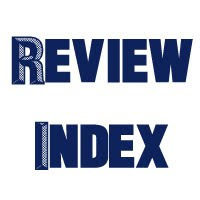 The index will be based on two things: review type and location. I will divide the review-type-based group into five categories: restaurant reviews, other reviews (non-restaurant setting), special occasions, product reviews, book reviews, and miscellaneous (including the uncategorized ones); sorted alphabetically. - This includes hawker stalls, food court stalls, street food carts, other food related shops, festival/shows/food tour; not specific reviews about dining experiences at restaurants. Cherry Picking in Orange (Thornbrook Orchard) and Merry Christmas 2014! Brownies; How Do you Like Yours? - This includes events, parties, family/friend home feasts, festivals, carnivales, shows, etc. - Including the uncategorized ones and greetings. 2014 Recap - Welcome 2015! I hope I have covered all of the posts. If you need the more diversified categories, just check out the tag cloud. 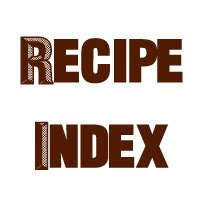 this index is very VERY helpful!